Vocollect is the industry leading voice-enabling solution helping customers achieve a higher level of performance using voice-centric approach to address operational challenges in industrial warehouse environments. Improve Productivity and Accuracy. Voice directed process allows operators to focus on the task they are performing by eliminating the necessity of physically picking up or putting down mobile device and/or paper. Improve Safety. As operators focus more on the task at hand, instances of worker injury and product/equipment damages are greatly reduced. Reduce Training Time. As task instruction is spoken to operator, there is no need to train workers on reading screen or printout instruction to know when/where to do what. Operator is only required to complete a one-time training session to create a personalised voice template, typically takes less than half hour. Back-end System Friendly. Our solution can help to quickly voice enable your existing stock management, order management or warehouse management system, while keeping impact to your as-is business practice to the minimal. Adaptable Voice Process Realisation. 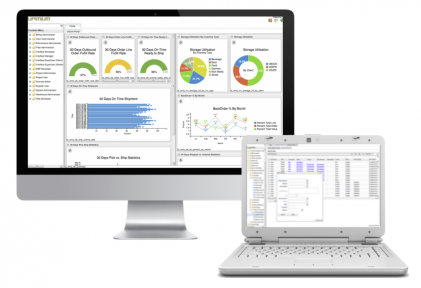 We take a workflow process driven approach to implement best practice voice process for your operation. Any unique and future requirement can be quickly realised in Visio flow diagram. Reduced Total Cost of Ownership. Our solution wraps around Vocollect’s technology foundation to lower the technical barrier to grasp the system. A logical person with industry standard SQL script skill and Visio drawing knowledge will be able to maintain and make changes to your voice centric operations on an on-going basis. Do I need a proper WMS to adopt Vocollect Voice Picking? The short answer is NO. Although some WMS vendors will try to convince you to implement a proper WMS with RF capability first before looking at voice solution, with our solution offering as long as you have a ‘system’ that is capable of printing paper slip, there is a good chance we can help to voice enable it. Contact us to find out more. Do I need highly trained staff to maintain Vocollect solution? Some say Yes, because traditionally one needs to be trained on specialised development IDE to maintain and change Vocollect voice process. HOWEVER, with our offering one with SQL knowledge and understand existing system database schema only needs to learn to grasp the Visio flow with pre-defined building blocks to start creating voice process. Voice process is designed in Visio flow diagram to drive the voice dialog process flow in Vocollect talkman. Future changes in voice process flow can be easily realised by modifying the underlying Visio flow diagram. Industry standard SQL language is used in the voice process to establish real-time bi-directional data exchange with backend transactional database. 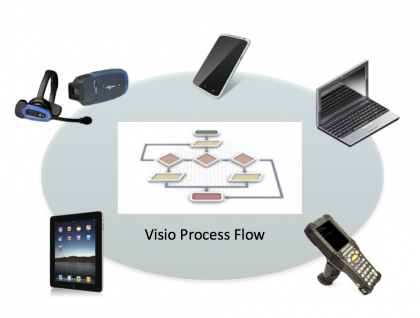 Voice process designed in Visio flow can be seamlessly ported to other types of mobile devices, such as RF handheld scanner, smartphone and tablet. Our ability to drive different types of mobile device with the same process flow created in Visio diagram and SQL script means there is no need to maintain multiple code base written in device specific programming languages. Industry standard SQL language skill is all required to quickly create and modify browser based report and charting pages to provide management real-time transaction visibility into floor operation progress. Interested to find out more about our Vocollect voice enabling solution?